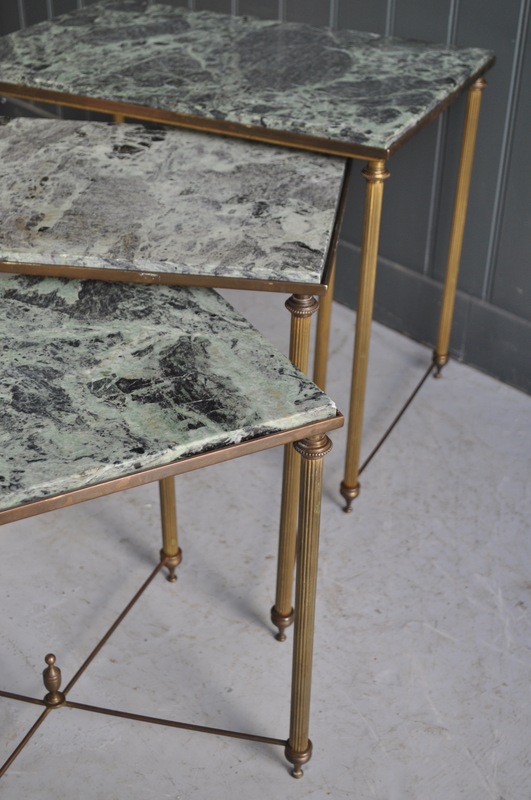 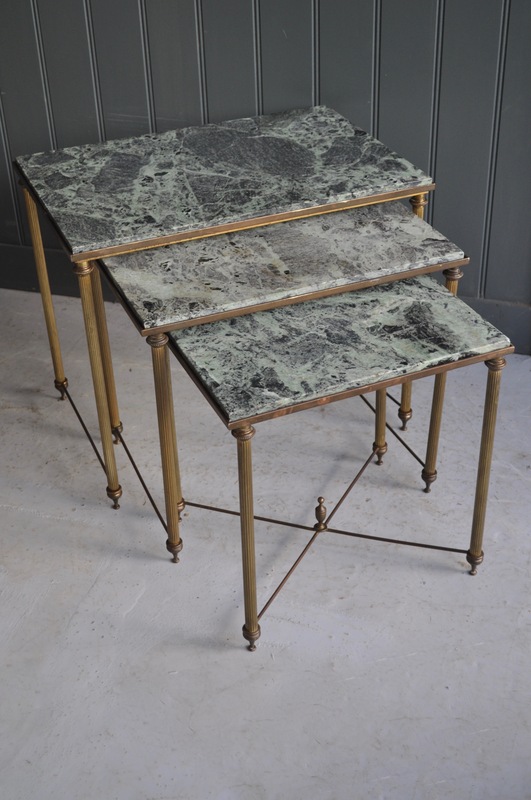 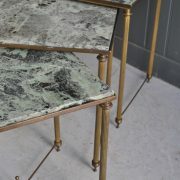 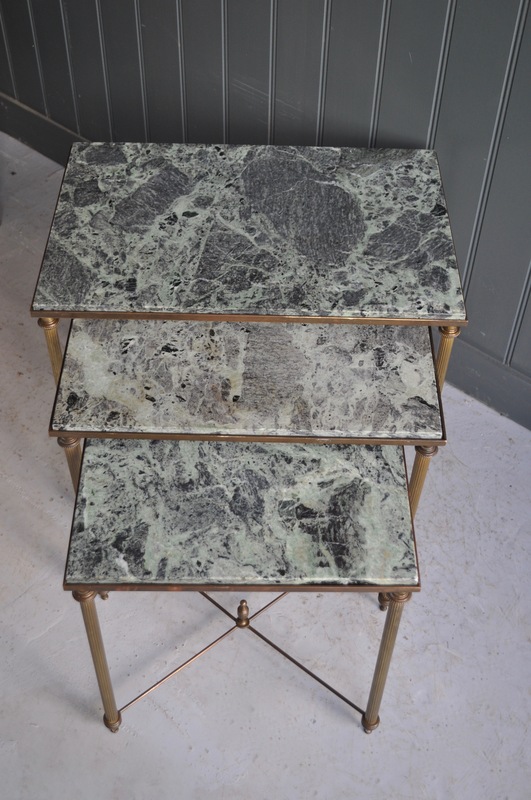 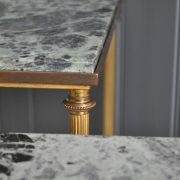 Nest of three French brass tables with marble tops. 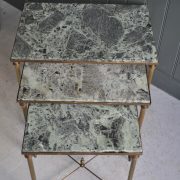 Lovely delicate reeded legs, and a wonderful green and black colour to the tops. 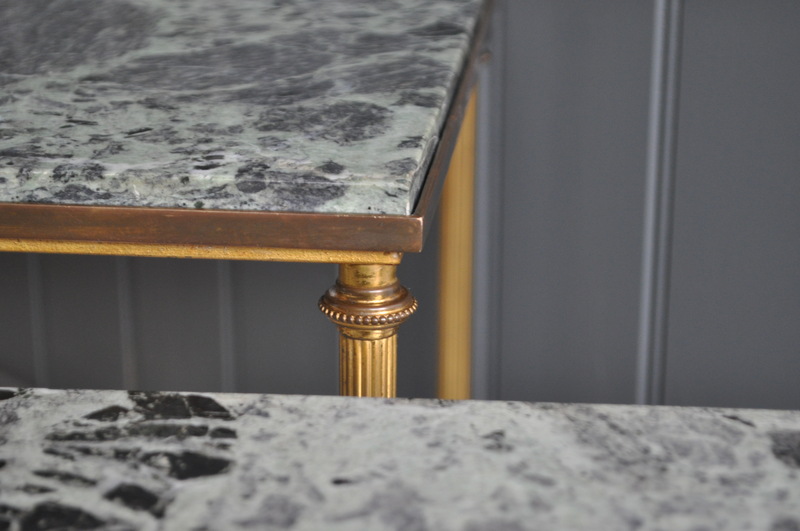 Dimensions given are for the largest.